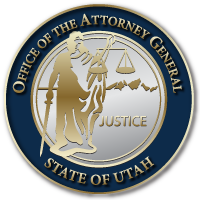 SALT LAKE CITY January 14, 2017 – The Utah AGO announced that that the Supreme Court had granted review of the controversial “waters of the United States” (WOTUS) rule case, National Association of Manufacturers v. Department of Defense. Utah is among 27 states who have challenged the Obama EPA’s WOTUS rule expanding federal jurisdiction under the Clean Water Act (CWA). The WOTUS rule would make tributaries and other small waters subject to federal jurisdiction and pollution control laws. The Supreme Court will examine in National Association of Manufacturers a jurisdictional decision concerning where challenges to the controversial WOTUS rule should be filed. Specifically, the case concerns whether, under the Clean Water Act (CWA), the courts of appeal or federal district courts have jurisdiction to hear a challenge to the lawfulness of the WOTUS rule. Under current federal law, challenges to some decisions made under the CWA must be filed in federal district courts, while others may be filed in the courts of appeals. In February, the U.S. 6th Circuit Court of Appeals held it could hear a challenge to the WOTUS rule even though it does not appear that this kind of challenge is available. The Supreme Court will review this decision. It’s important to note that the Supreme Court will not be hearing a challenge to the substance of the WOTUS rule in this case. At issue before the Court is whether the initial challenge to the substance of the rule should be heard, in the first instance, in an appeals or a district court. This entry was posted in Archived Posts, Recent Posts and tagged Certiorari, WOTUS on June 27, 2018 .